For over 20 years, L & J Heating & Cooling has been your go-to choice for top-notch heating and cooling services. We repair and install air conditioners, heaters, boilers, oil furnaces, gas furnaces and electrical furnaces. When homeowners need HVAC repair in Oregon City, OR, they call L & J Heating & Cooling. Why? Because for more than a decade, we’ve been the quickest, most reliable contractor in the area! We don’t waste time getting to your home and when we do arrive, we get to work fast resolving your heating and cooling issues. Whether it’s just a call for routine maintenance or you’re having a new HVAC replacement in Oregon City, OR installed, trust our team to get the job done right, the first time. We use reliable, high quality, energy efficient equipment and employ only factory-trained installers and service technicians. Our guarantee to our customers is one of excellence, from start to finish. 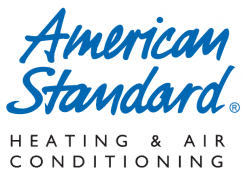 We work directly with high-quality brands such as American Standard and Ameristar. Our knowledge of residential HVAC systems in Oregon City, OR is unparalleled. Not only have we serviced all of the top name brands in the industry, we’re also familiar with all types of units. From central AC units to boilers, heat pumps to furnaces and beyond, our repertoire of knowledge makes us the foremost authority for service and repairs of all types. With a white-glove mentality that leaves things better than when we found them, you can count on us for superior service with a smile. Call us next time your HVAC system is on the fritz and see for yourself! We have a full sheet metal shop where we can specially fabricate parts for your specific HVAC installation. Our business is fully certified, licensed, bonded and insured for your peace of mind. We ensure quality service and complete customer satisfaction throughout the duration of every single job we take on. Our team is familiar with all major manufacturer brands and products, giving us the ability to work on nearly any unit. This coupon may not be used with any other offer. We arrive at your home quickly, call the professionals at L & J Heating & Cooling next time you need HVAC service, done right.